Get ready for the IoT, the Internet of Toys. Google just filed a patent for what may pan out to be one of the coolest or creepiest inventions to date. We’ll let you decide. That’s because, with aspirations of breaking into the toy industry, the tech giant has revealed a plan for stuff animals that can control other in-home devices such as TVs, DVRs, music players, thermostats and window curtains. Fitted with sensors, microphones, speakers, motors and cameras, the teddy bear would hypothetically be able to detect whether someone was looking at it it, then rotate its head, make eye contact and speak to the person addressing them. Once the plush toy receives and recognizes a voice prompt, a user can instruct it to change the channel on a TV, skip a song and pull up the weather forecast, among many other commands. The patent diagrams a stuffed teddy bear and a bunny, but notes that the gadgets could also apply to mythical creatures ranging from dragons to aliens. Keep in mind, though, this patent is not a surefire indication that Google will ever launch such a product. In fact, the document was originally filed back in February 2012 and granted the other day. However, should the company never choose to pursue this endeavor, one can only imagine that others will debut similar items in the very near future. Just this year alone, toy maker Mattel announced that it was developing a connected Barbie that can hold conversations with children, while startup Elemental Path took their Internet-enabled dinosaur to Kickstarter. With the emergence of smart dolls, it’s only a matter of time before privacy issues will ensue. Coincidentally, Atmel resident security always explains that, although IoT is possible without security, without security it would really just be a toy. And recent exploits by hackers prove just that. Literally. One route Siri, the other route Chucky, it will be interesting to see which direction these toys will go. 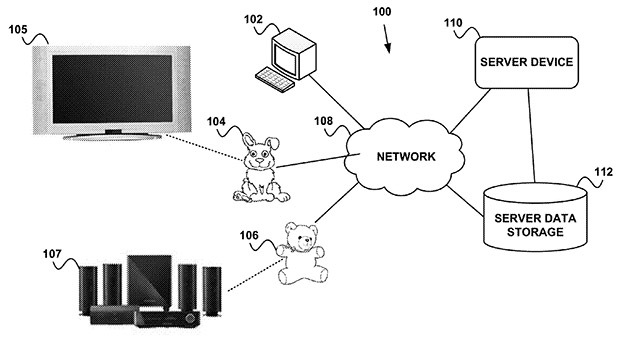 This entry was posted in IoT and tagged Connected Toys, Google Connected Toys, Google IoT Toys, Google Patent, Internet of Things, IoT, IoT Toys, Smart Toys on May 26, 2015 by The Atmel Team. As previously explored on Bits & Pieces, the Maker Movement has paved the way for new gizmos and gadgets in an effort to increase awareness around STEM and lower the barrier of entry for coding. UX design from Slice of Lime has now taken the initiative one step further with their latest connected toy prototype, dubbed Nübi, which aims to teach basic programming skills to kids of any gender. 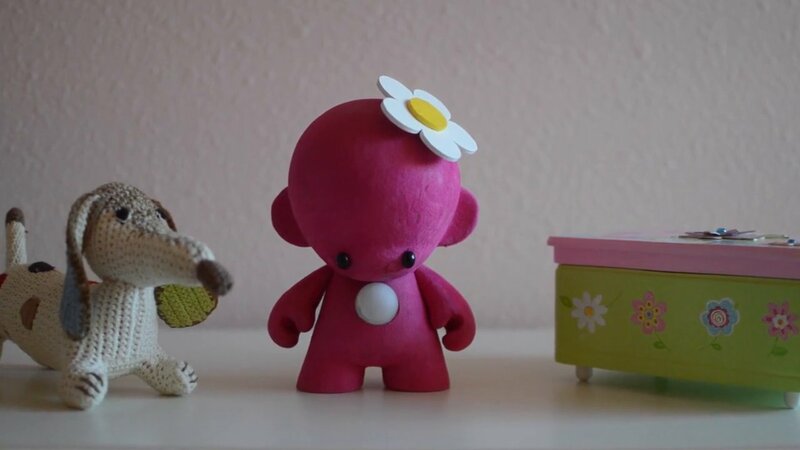 Nübi is described by its creator, Slice of Lime CEO Kevin Menzie, as an Internet-enabled toy that takes the form of a creature who just arrived on our planet and needs to be taught about everything, from colors to music to temperature. The toy is embedded with a series of sensors that enable it to wirelessly communicate like an RFID chip with other devices in its environment, such as a motion detector or light sensor. 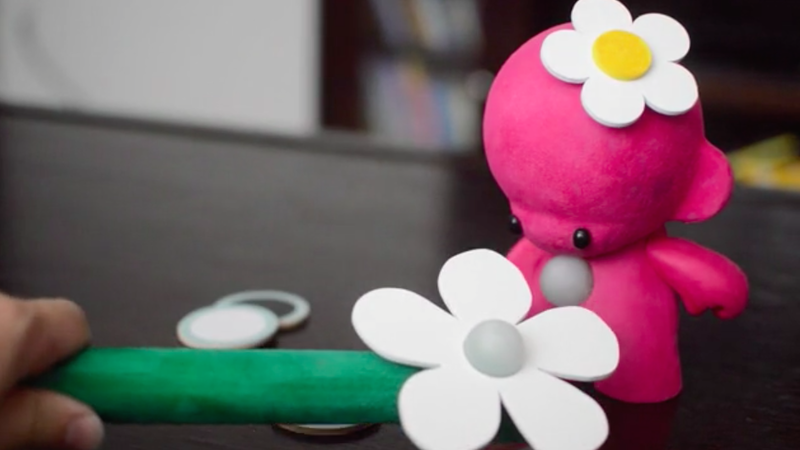 Kids use an accompanying flower-like wand, equipped with an [Atmel based] Arduino-controlled RFID reader, to talk to Nübi. 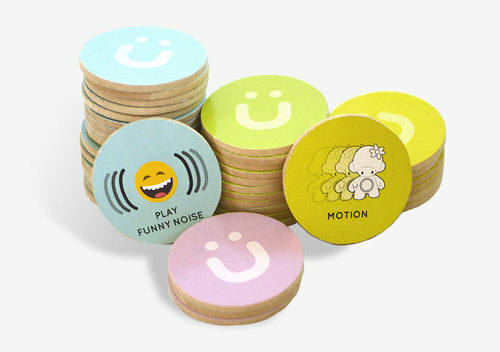 Using the wand-like device, kids begin with basic color mixing and sounds, and eventually learn to customize Nübi to react to light and dark, hot and cold, motion, as well as other Nübis. There are four types of Nübicards: Program Nübicards, Sense Nübicards, Action Nübicards, and Game Nübicards. These aid a user in teaching the connected toy what to do. Simply touch the flower to the Nübicard and then touch Nübi’s head. For instance, if a child wants to teach Nübi about colors, they would tap the wand against the specific color Nübicard, then touch it the Atmel powered flower. An LED located in its stomach would then emit the color selected. Tap the wand on a pair of colors in succession, and Nübi will even glow the color they make when they’re combined. Come on, that’s so much better than simply mixing paint, not to mention, less messy! There are also more sophisticated cards as well, which include IFTTT recipes. Using these conditional statements, young Makers can begin programming their Nübi to carry out more complex actions, ranging from glowing blue when it’s cold outside or playing a lullaby when the lights turn off. Interested in a Nübi for your child? You can check out Nübi’s official website here. Or, you can read more about the connected toy in its latest Gizmodo article. This entry was posted in Arduino, Maker Movement, Young Makers and tagged Arduino, Connected Toys, Internet of Things, IoT, Maker Movement, Makers, Nübi, Nübicard, programming, Slice of Lime, STEM on November 25, 2014 by The Atmel Team.